Mainly because my granddaughter is an angel to me!! Beautiful way to give something special. 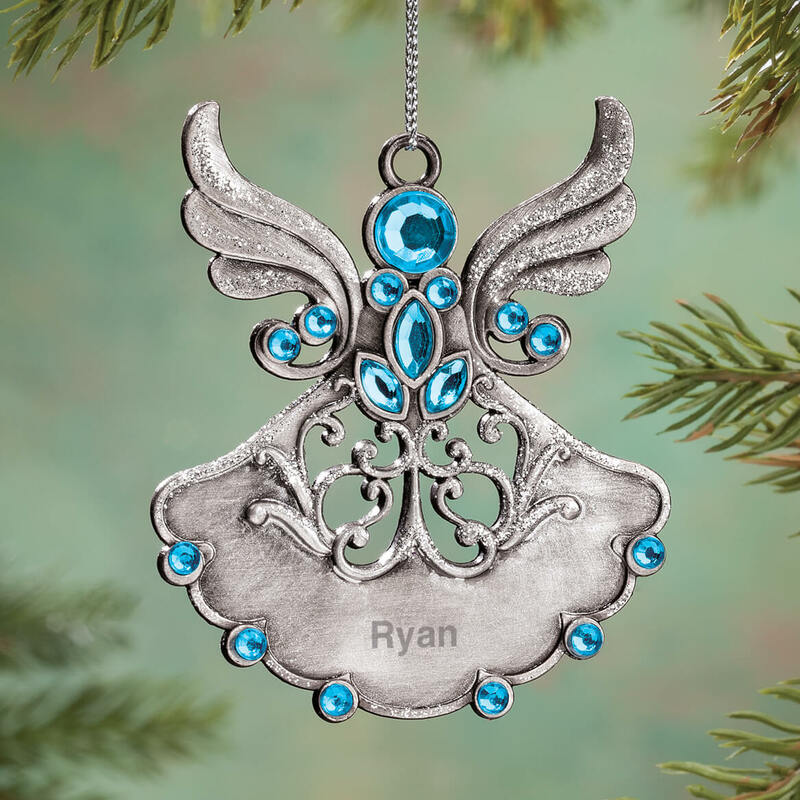 Ornament to put on tree for my deceased son. 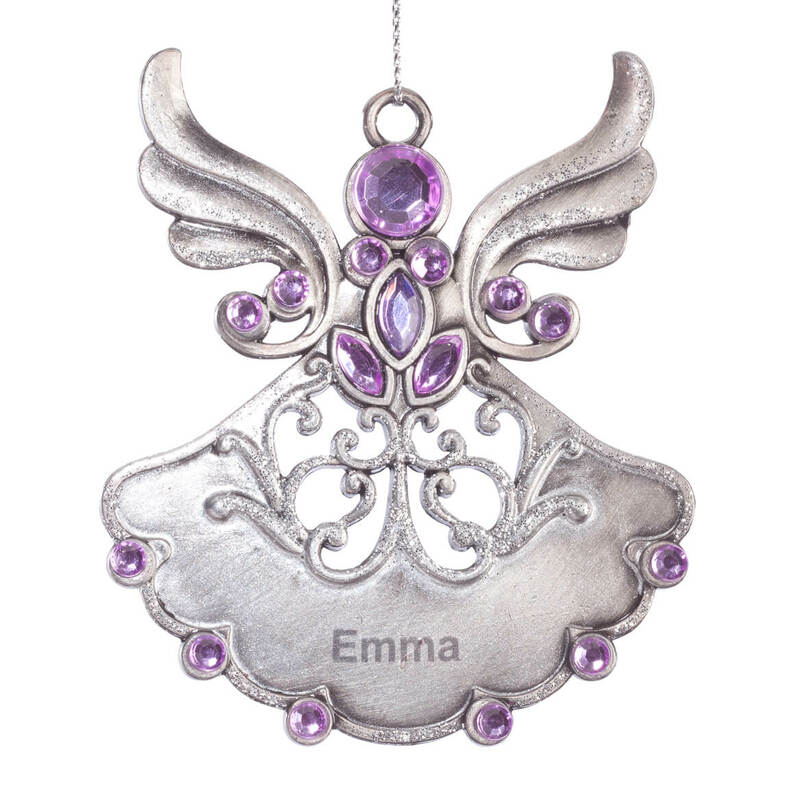 I've been looking for some kind of angel to remember my grandmother who passed a few years ago. Thought this was perfect to hang on tree this year and pass onto my daughter. Granddaughter is a sweet Angel. 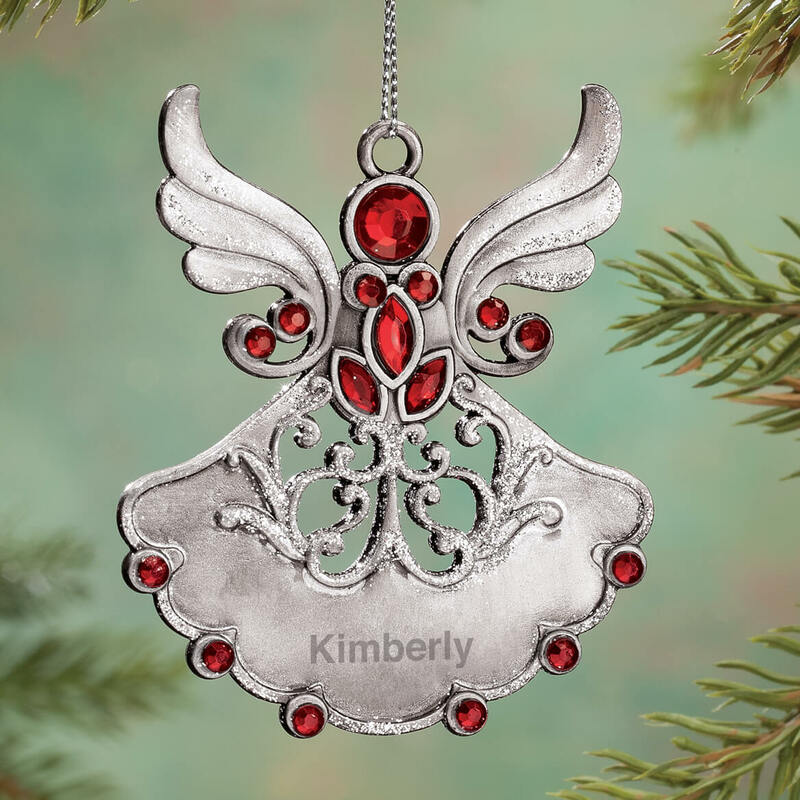 Intimate, Personalized, Birthstone, Christmas Ornament for my Only, Nieces, Family Christmas Tree 🎄! I just really think they're pretty. I have 1 daughter and 3 granddaughters that will love them. My friend said she'd like anything related to angels for Christmas. 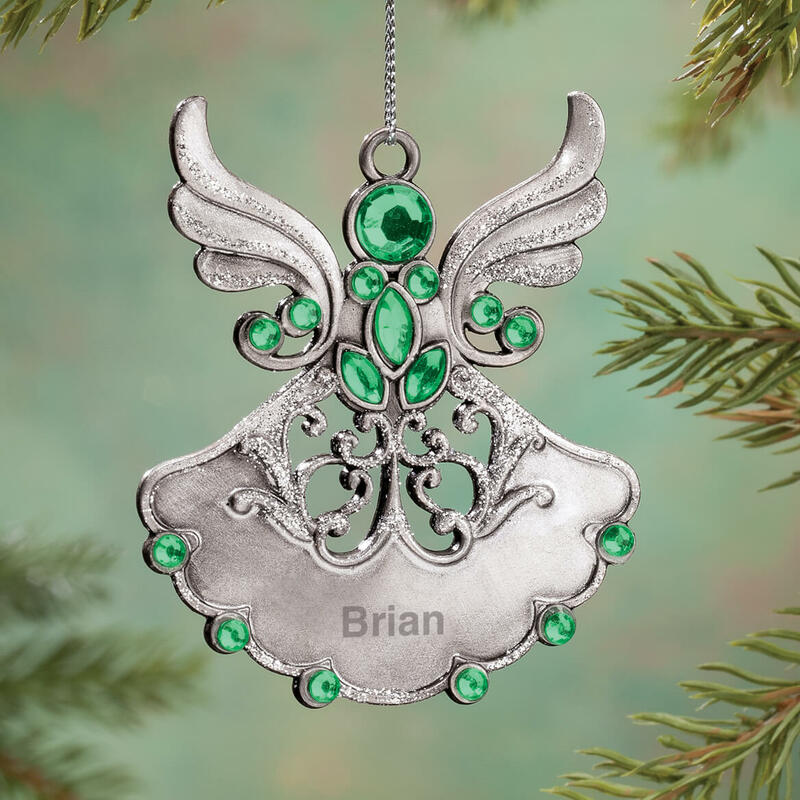 So I chose this angel ornament. 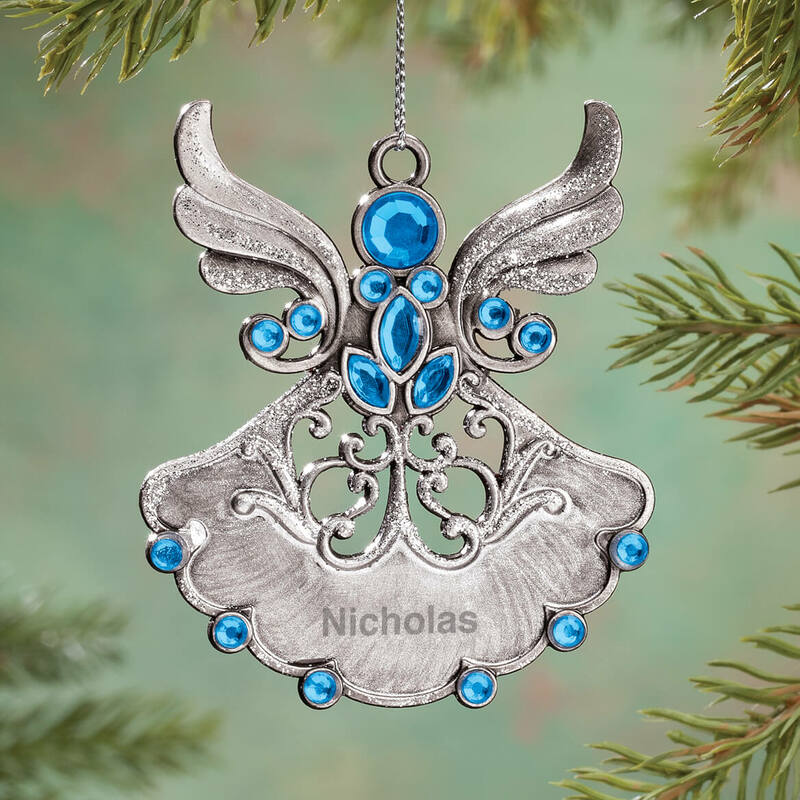 I like that it shows the birthstone and can be personalized. It's very pretty and I believe my daughter will love it! My granddaughter was still born on 10/15/18. I know the stone is not an October birthday, but her nursery colors were purple, teal and gray. We are honoring her with the purple stone. 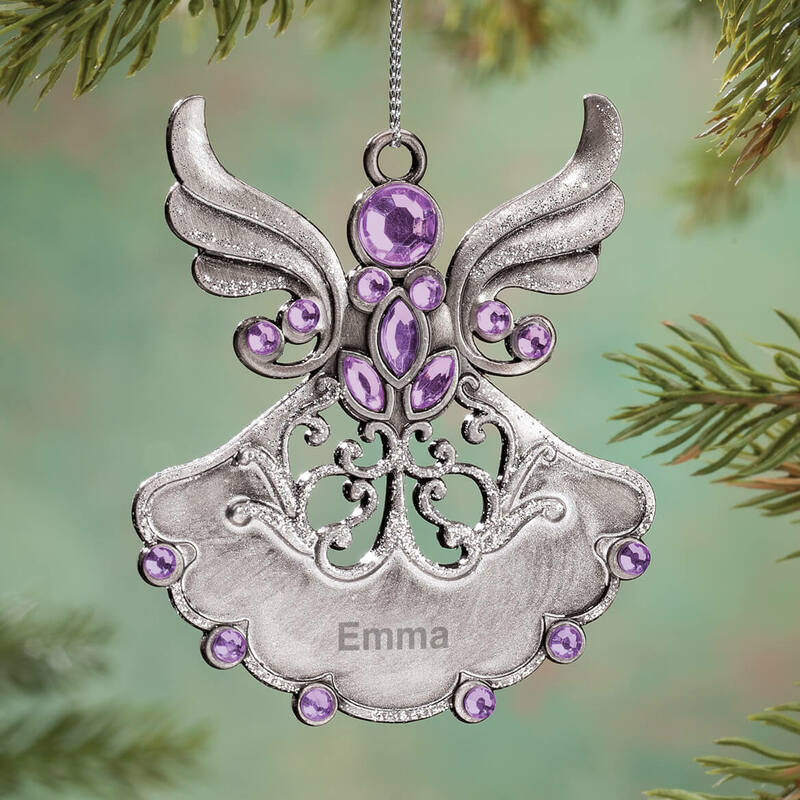 I ordered one for her parents, one for her paternal grandparents and one for her maternal grandparents. 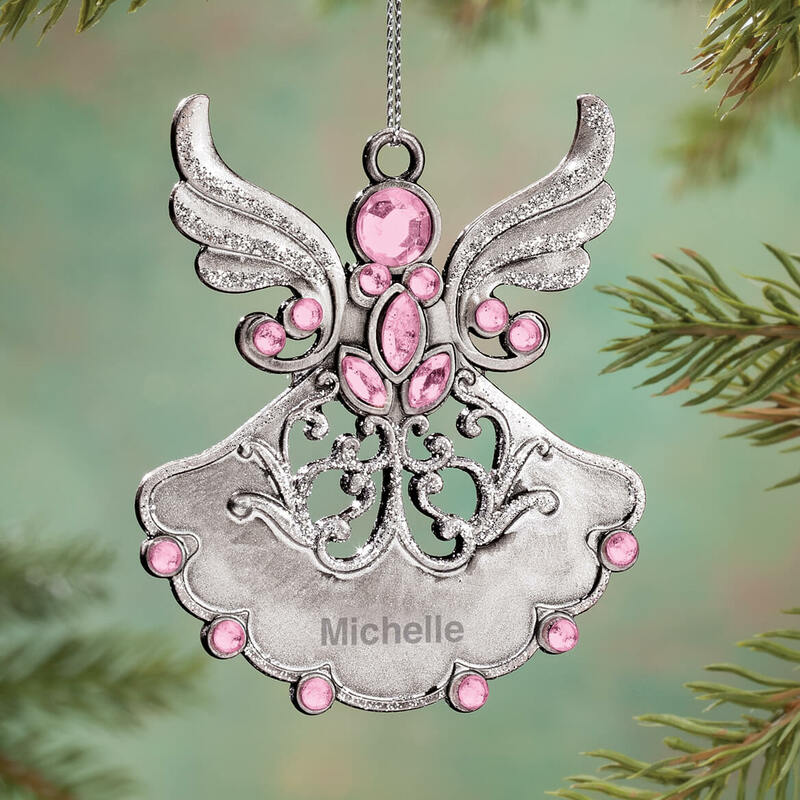 I believe this will be a beautiful addition to our tree to remember her at such family holiday. I really wish her date of birth could be included beneath her name, but I understand there may not be room. Our daughter is a angel and loves purple. Because it fit my grand child or great grand child. 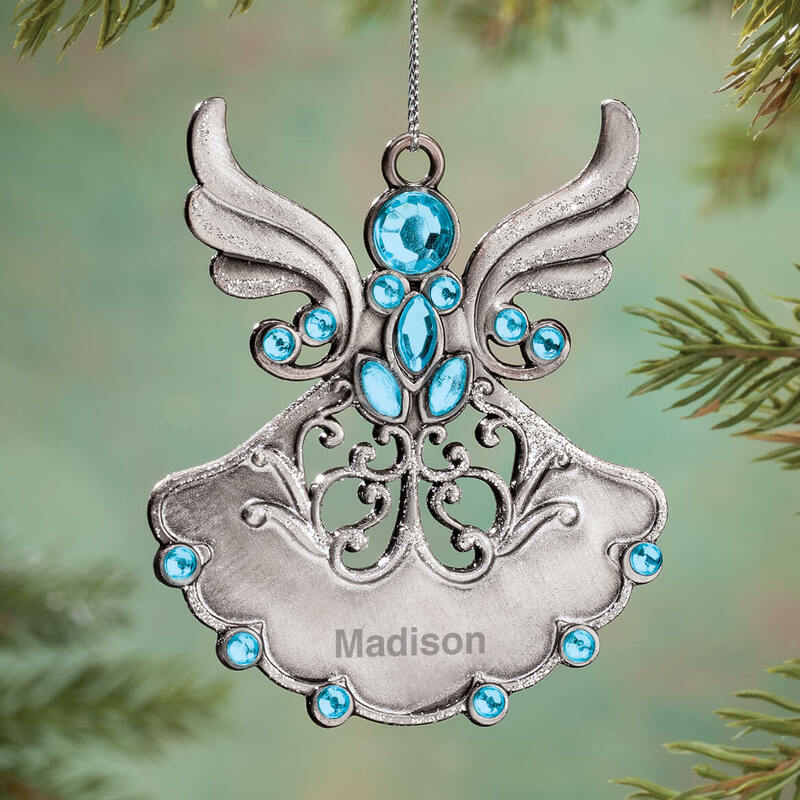 Beautiful ornament that can be personalized. We get personalized ornaments for our Godchildren every year, and sometimes our own children, many of which this is the only way they will get their names on things because they are not names you can find pre-done. My sister's memorial Christmas ornament. 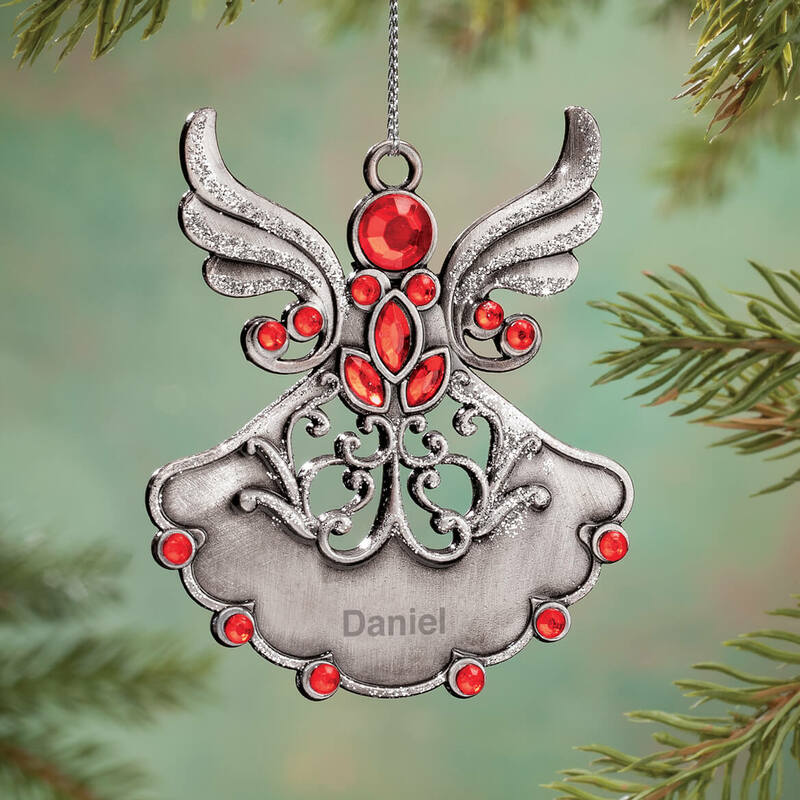 I was going to order several ornaments but I cannot find any place to put the personalization. You have checked my email address. do you not want my business? BEST ANSWER: Thank you for your question. Select the personalized month desired and once that is done the personalize button will be active. We hope this information will be of help to you. Where is the personalized button located on the screen? BEST ANSWER: Under the select button. It will stipulate ornament and month or personalize ornament and month. Click on that. The ornament is a really nice size. The person receiving it will love it! You have to select Personalize and then it takes you to the place to input the name. Can a date be added to revers side? BEST ANSWER: Thank you for your question. Unfortunately no we are not able to add the date to the reverse side. We hope this information will be of help to you. Is the July ruby stone a deep red or is it orange as appears on internet? 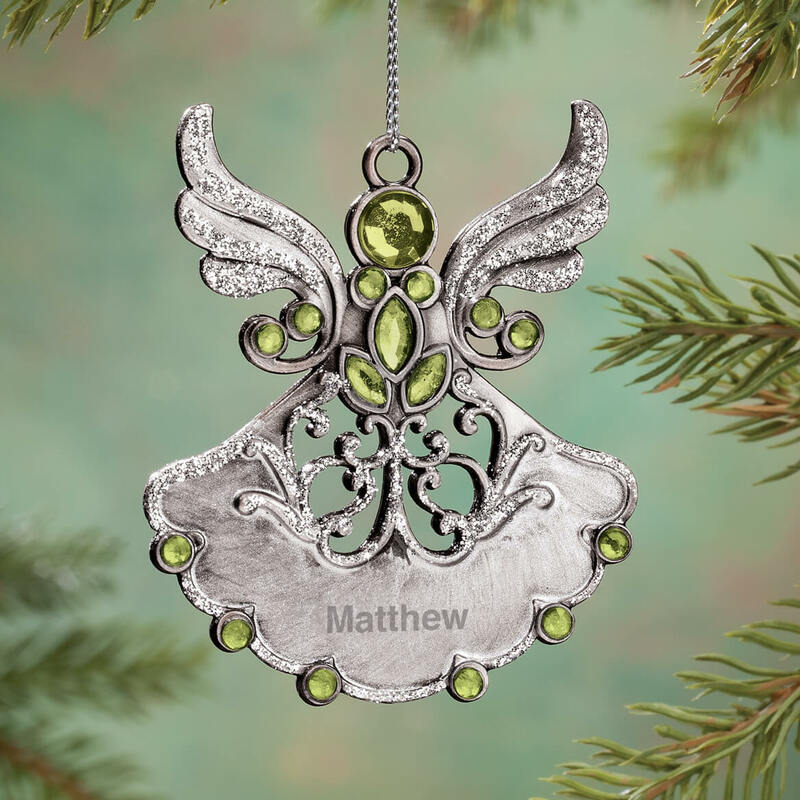 This is for pewter Christmas ornament.